We offer a fully made to measure service where we will visit your home, discuss your requirements and offer advice. We will then measure the window and contact you with a quote. 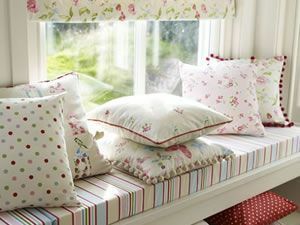 We have a huge selection of curtain fabric samples to choose from (which you are welcome to take home). You also have a choice of heading including: eyelet pleat, pencil pleat, pinch pleat, goblet pleat and tab top. Linings include standard, blackout and fully interlined. 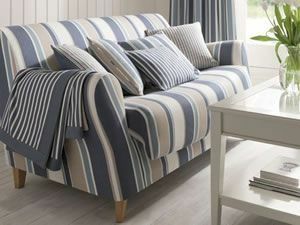 Our fabric & curtain suppliers – please view their websites to see the ranges that we can supply. We have a comprehensive range of tracks and poles from Silent Gliss, Cameron Fuller and Hallis Hudson. Our track and pole suppliers – please view their websites to see the ranges that we can supply. Again we are happy to visit your property with samples and advice and give you a no obligation quote on all blinds including: roller, vertical, venetian, wood venetian, plantation shutters, Velux, and sun awnings. Our blind suppliers – please view their websites to see the ranges that we can supply. We have a large stock of knitting wool and haberdashery items by hemline. 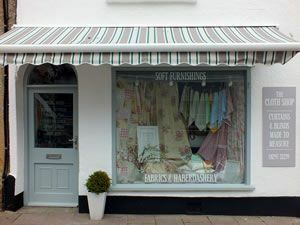 Our knitting wool & haberdashery suppliers – please view their websites to see the ranges that we can supply.